There is a definite touch of the first Elton John album about Kid in a Big World. It is so difficult to see how and why this album was ignored for so long. It's poignant but at the same time fun and has an originality often missing from the genre. 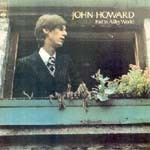 Lyrically John Howard was very strong even for the early mid 70s which to me have always been the quintessential period for British music. It is conceivable that John was overlooked due to the variety of styles which defied pigeon-holing. The opening track "Goodbye Suzie" is evocative both in lyrics and voice and some of the songs are almost heart-wrenchingly sad in a strangely uplifting way. Kid in a Big World should have been the start of a glittering career and now almost 30 years after its original release it could be. The re-issued CD includes seven tracks not on the original album. This was originally intended as a follow-up to Kid but was never completed. But again it slept in the vaults and RPM records released it in 2004 - some 30 years after it was recorded. Another album shelved by CBS and released by RPM in May 2005. 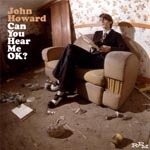 Can You Hear Me is a big departure from Kid - less idiosyncratic but undoubtedly an album written from the heart which is the great thing with John Howard. He personalises the songs. The lyrics are never trite and here the backgrounds have a more middle of the road feel to them. Certainly it's not as immediate as Kid but John took a different direction by calling in Biddu to produce. Biddu is probably best known for the Carl Douglas hit Kung Fu Fighting. This is a million miles from that offering, however. In some ways it is easy to see why CBS shelved the project. John Howard must have been seen as being many miles from a commercial proposition back in the 1970s. He is much too cultured for that and at the time will have suffered from the craft that has gone into these songs. They aren't immediate. You have to stick with them, but ultimately there's the same lush vocals, the same songwriting skills and a slightly different direction to enjoy which includes a cod falsetto disco song "I Can Breath Again." Bringing us more up to date, John collaborated with Manchester poet Robert Cochrane in this 2005 release. Completed in early 2006 and released in March 2007 as the artist's catalogue continued to grow. 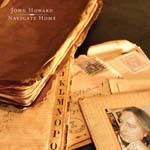 One of John Howard's great inspirations is the past. So on the opening track "My Girl By the Temptations" we hark back to the glorious days of soul with mentions for John Lennnon and Shirley Temple to name but two. "Oh Midnight" is a beautifully complex song that is a real grower. Similarly "Sacred Heart" has an epic feel about it both from the musical and lyrical point of view. "Laura Coming Home" is another of those songs that hits the spot in so many ways with its mention of milk and honey mornings (beautiful imagery as always. Same Bed, Different Dreams once again shows John Howard to be a genuine poet as well as artist. Another outstanding track is Punchin' Judy the story of domestic violence with the heart-rending lines "Something happened to the man I loved, he became a monster, where did I go wrong -" wonderfully evocative lyrics. 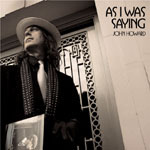 John's first new singer-songwriter album for 30 years and released on Cherry Red Records in 2005. And what an exceptionally good album this one is. From the opening words of the opening song "Taking It All To Heart" we know we are in familiar territory: "On reflection is a great place to be" and so it is. The remarkable thing about this is it was recorded 30 years after Kid In a Big World, but it just follows on perfectly from that album - a seamless transition over three decades. John's voice sounds as fresh as it always has. It's just as though cryogenics have been used and the artist's body has been frozen Adam Adamant* like to re-appear 30 years later. The Dilemma of of the Homosapien rips along, there's plenty of glitz and glitter throughout the album as if it is a hark back to the golden 70s and there's name checks for Simon Cowell and Mama Cass and many others. To return after so long with such an accomplished album is something of a triumph. These Fifty Years is one of my favourite Howard songs and the album ends with the wonderfully poignant The Time of Day - one of his best songs where his voice has a Phil Ochs feel to it and his piano playing is just simply beautiful. This live album was recorded over two nights at Manchester's Briton's Protection in May and June 2006. It is a mix of songs written especially for the occasion and mixed with some tried and trusted tracks such as the excellent "Kid in a Big World" and "These Fifty Years." The album is exclusively available on I Tunes. It is a very intimate collection of songs where John allows the audience into his life for what must have been a highly enjoyable evening. Once again much of the material on this album grows on you the more it is played. Released in 2008 after being recorded in John's home studio. Released on Spanish record label Hanky Panky it marked the artist's move from the UK to southern Spain. Once again I can thoroughly recommend this album. 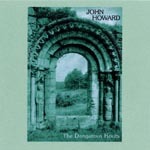 The more you immerse yourself in John Howard's music the more subtle and beautiful you realise it is. This is slightly lower key but just as effective as "As I Was Saying." There is some wonderfully romantic music here. The opening track The Exquisites takes us on yet another journey into the past - familiar territory with mentions for the Beatles, glam rock, Brian Ferry, David Bowie and Top of the Pops. The stand-out track is "Barefoot with Angels" with its early Elton John feel and epic proportions. Together this album and As I was Saying acts as perfect foils. If the former is slightly more upbeat, the latter takes us through a lush panorama of vignettes and subtle melodies. In his cover notes to Navigate Home, John Howard states that songs just started pouring out, which is in itself extremely interesting. By the time they reach their 50s most artists are settling down to pipe and slipper music. The angry young men have turned into peaceful middle age. Then you have the likes of John Howard whose output is increasing both in quantity and quality. Perhaps it was the years in the wilderness, almost hiding his talents, perhaps unsure of his ability. Thankfully that talent is now on show for all to enjoy. John's voice never slips. It is just a tragedy that his music doesn't find a larger audience - or perhaps that is its attraction. You see to like John's music simply illustrates that there are hidden gems out there. All you have to do is scratch beneath the surface. Navigate Home is glorious. 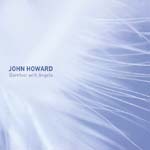 For me whatever the stresses of the day have been, simply listening to a John Howard album sooths the furrowed brow and makes you feel human again. Navigate Home is simply an extension of everything he has done in the past - beautiful melodies, lush orchestration, deep lyrics about love and life. "I wanted the album to reflect a sense of travel, of seeking out and finding, of upheaval and settlement, of loss and renewal, of reflection and anticipation where the past had brought us and what the future held"
In other words a man at the crossroads of life - setting off in a different direction with more than a nod to some of the great songwriters of our generation. There are mentions for such influences as Laura Nyro, Carl Wilson and Jimmy Webb (more of this later). Of course John doesn't just imagine and write about the upheaval - he has lived it as well. 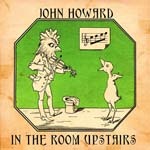 John Howard lets us into his life in a welter of subtle colours. The album opens with one of his most beautiful songs "Lion in My Winter" which starts the journey. "Portrait of a Mother" is a clever song following a visit to a David Hockney portrait exhibition in London. The whole journey idea is no better shown than in Notes to Self which is designed to sound like a train rushing along and reminded me greatly of the W H Auden poem The Night Train. 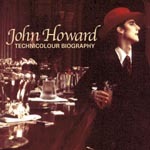 Of course there is always a touch of glam with John Howard and here it comes in the form of one of his longest songs. "A Wardrobe Dreams" weighs in at well over 10 minutes and ends with some wonderfully evocative and tuneful piano work. It's certainly more glam rock than Lion, Witch and Wardrobe. Change (Who Changed?) is John's homage to the genius of Jimmy Webb. To me Webb remains the greatest living songwriter, so the inclusion of a track inspired by By the Time I Get to Phoenix is highly appropriate. I particularly like "Miss Ashton's Disappointment." For a start it's a story song and it also lets us into another corner of John's life - his days learning the piano and the breakdown of the relationship with his teacher the day he put lyrics to Fur Elise. It wasn't a popular move but it taught the young John that what he really wanted to be was a singer-songwriter. And I have to say that in this song John mentions Richard Harris and MacArthur Park. There's also mentions for Brian Wilson and I swear a touch of Jacques Brel in this one - need I say more. The album ends with another romantic number Precious (Alone is Hard to Do) written for two friends who were getting married. I can think of no more appropriate song to tie the knot to. I have only mentioned some of the songs on the album. The others are just as vital in their own way in a feelgood induced journey through the singers, past, present and future. Dramatic, lush, luxurious - this is music for grown up people.